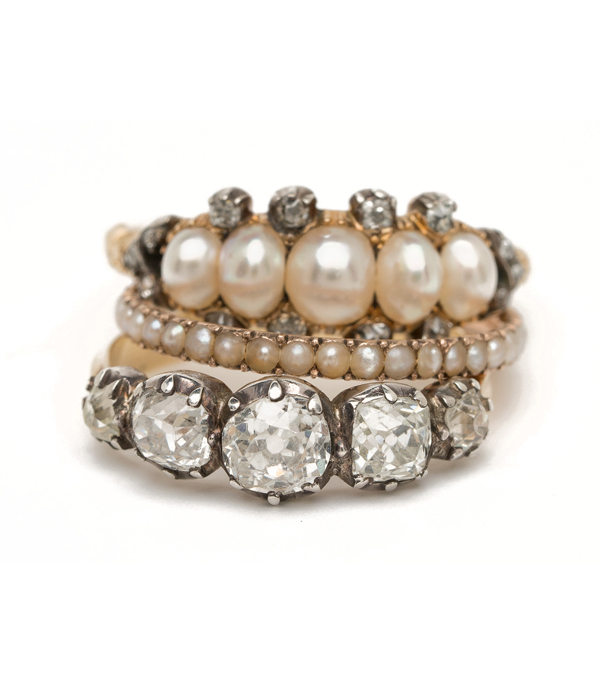 The perfect girly accent to any jewelry stacking combo! 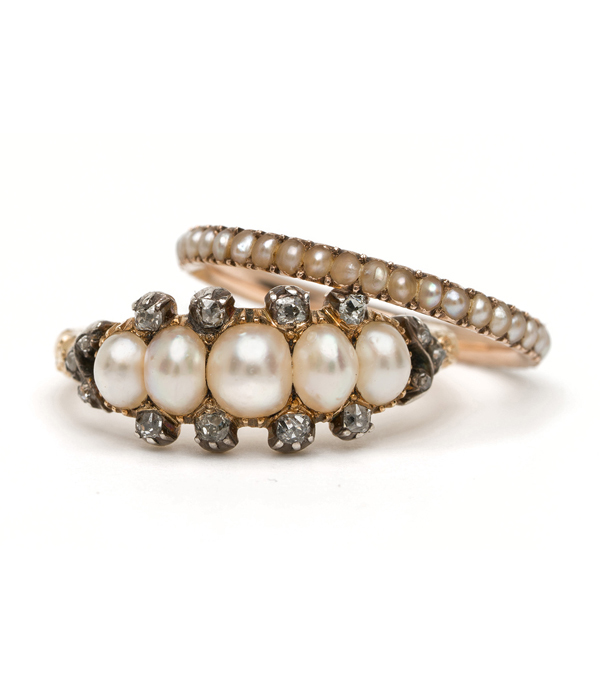 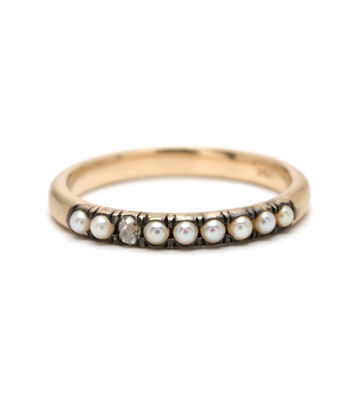 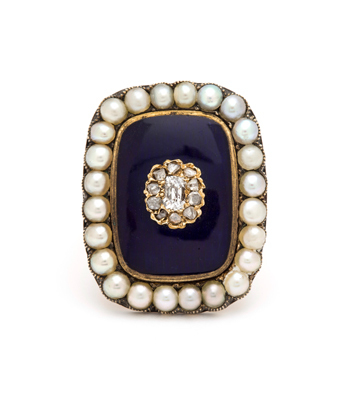 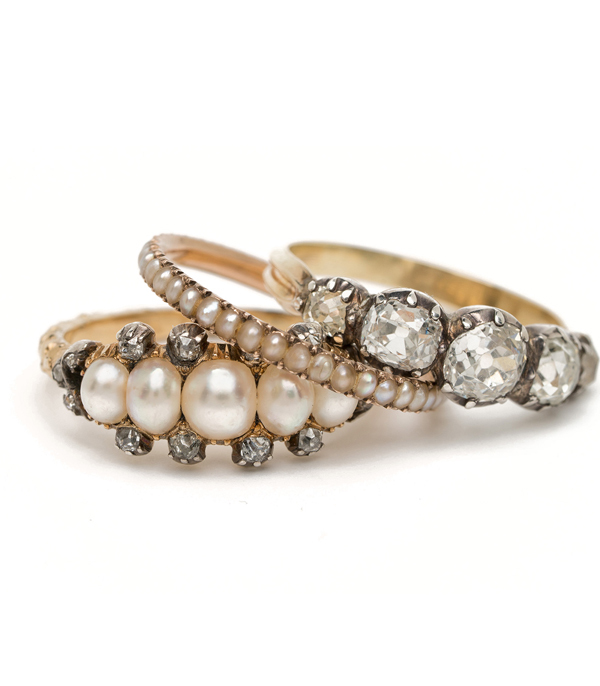 This Georgian natural split pearl and gold eternity ring (c1800-1820) is the equal parts sweetness and timeless elegance. 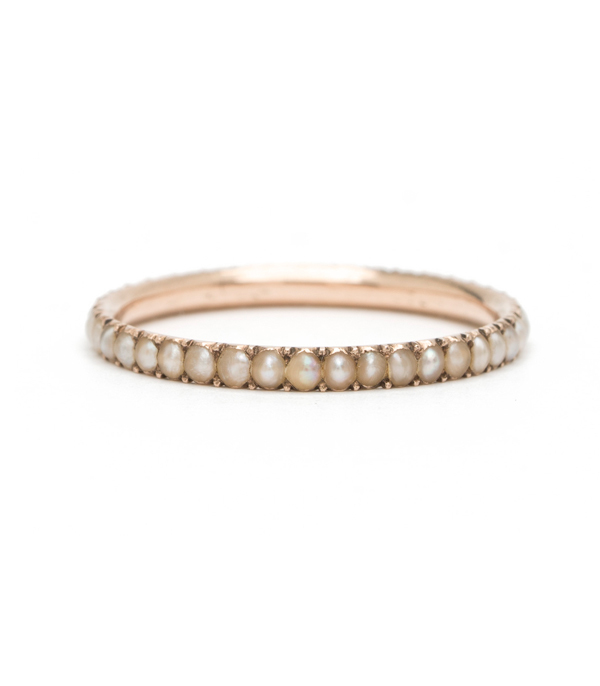 Set in a rosy gold, this adorable antique stacking ring is must for any jewelry lover who likes to mix and match her style.